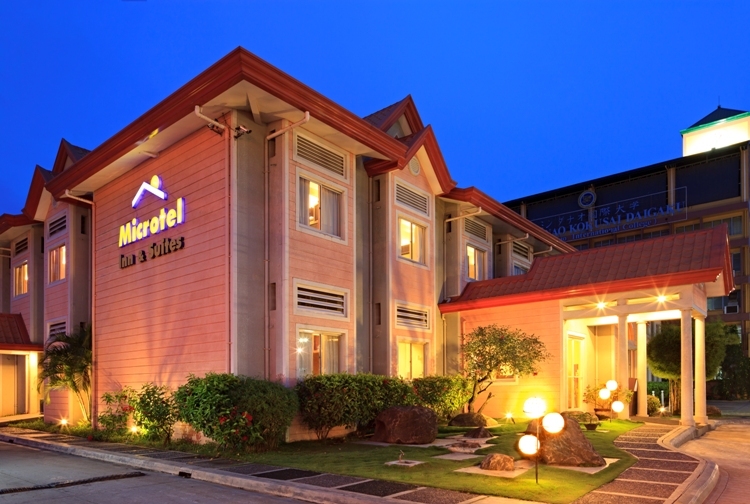 Microtel Inn and Suites Davao is an ideal hotel for business and leisure travelers who are seeking for nice, clean and comfortable accommodations with all the amenities and conveniences of home at a price standard to its class. 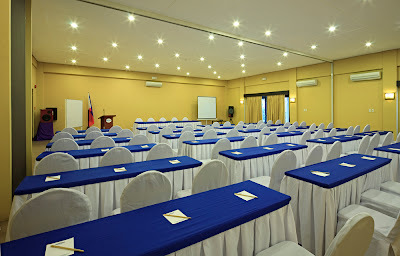 Built in 2006 within the Damosa Gateway Complex and IT Park - a major economic and commercial hub in Davao City, the Hotel is a two-storey three-star hotel with 51 spacious rooms and suites meticulously designed to provide its guests unparalleled comfort and convenience during their stay in the Hotel. Each room and suite is fitted with individually-controlled air conditioning unit, non-smoking room, and is equipped with a Keycard entry system, and a fully automated fire safety system. 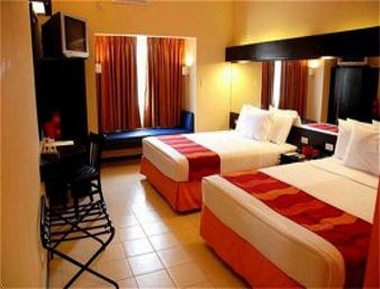 It is available for single or twin sharing and features a plush-top chiropractic Queen-sized mattress pad that meets the American Chiropractic Association specifications, and is fitted with a bed skirt, high quality 200-thread count white linens with triple sheeting, along with a down-like blanket, a decorative top sheet and bed scarf, and high quality pillows. 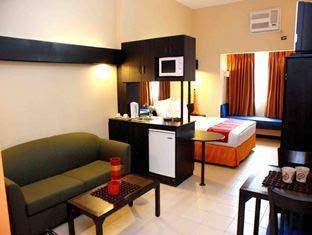 The rooms and suites are beautifully furnished with 25-inch cable TVs, multi-function telephone system with IDD and NDD features, Internet-ready data ports, built-in work desks with lamps and chairs, radio clocks, refrigerators, coffee and tea makers, microwave ovens, mini-bars, ironing board, kitchen counters with sink, and private toilets and baths with hot and cold showers including hair dryers. Accommodations include continental breakfast, a fresh cup of coffee, and newspaper delivered to each room every morning, compliments of the Hotel. 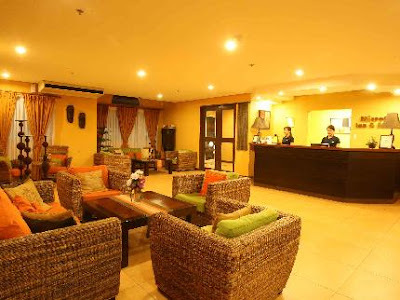 The Hotel has a 24-Hour front desk and room service, and provides daily housekeeping, wake-up call service, FREE Wi-Fi Internet access, massage services, photocopy, fax and mailing services, safe deposit box, tour packages, and airport transfers. 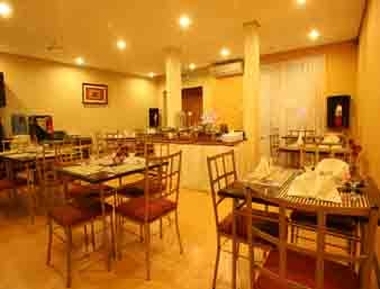 It also has a restaurant that serves delectable dishes and cuisines at affordable prices. 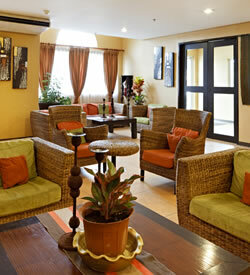 Free flowing coffee is always available at the lobby. 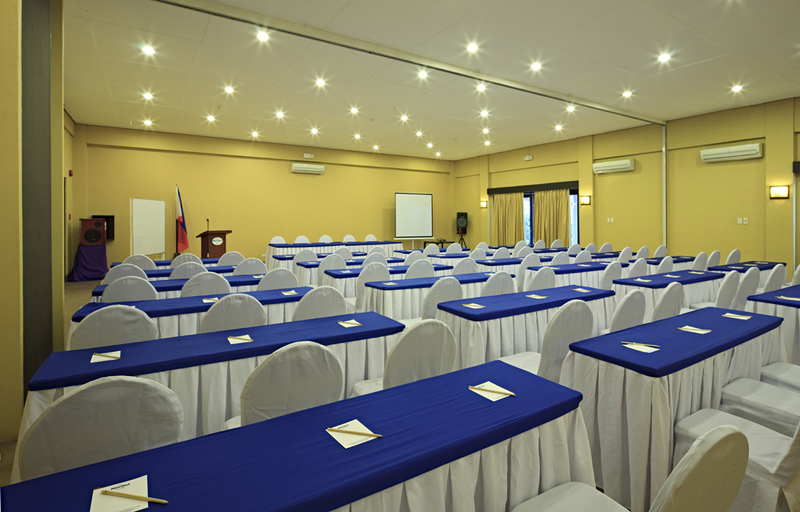 For private parties and corporate events, the Hotel has a spacious function room that can easily accommodate up to 200 guests, supported by a team of hospitable and professional Hotel staff. Check-In time is 2 PM, and Check-Out time is 12 PM. 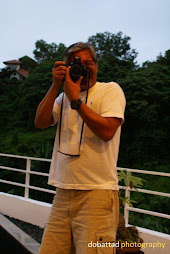 A credit card is required to secure reservation. The Hotel is conveniently located within the city's major economic and commercial hub in Damosa Gateway Complex and IT Park along Mamay Road in Lanang, Davao City where the entire complex consists of several commercial establishments, such as the Market Basket, restaurants and bars, fast food chains, and coffee shops. 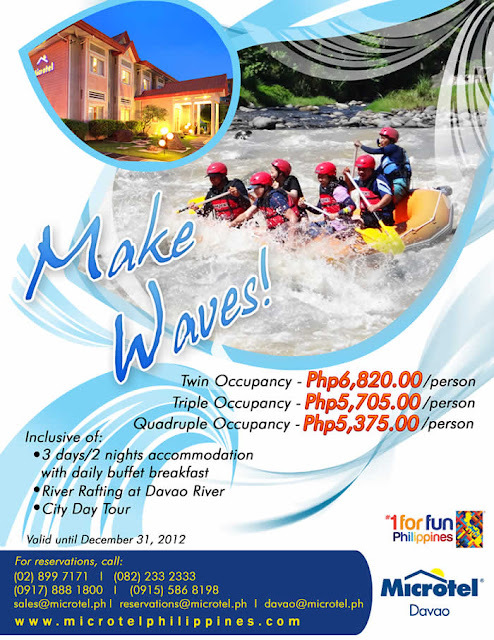 It is easily accessible by public and private transportation, and is only a 10-minute drive from the Davao International Airport. 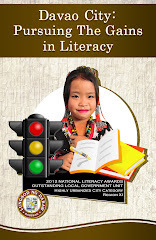 From Davao International Airport, turn left to C. P. Garcia Boulevard, and after two miles, turn left to Mamay Road (Angliongto Avenue). 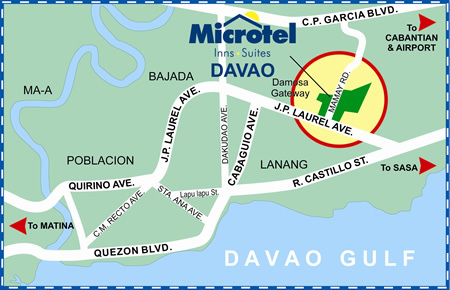 Microtel Inn and Suites Davao is on the right side.